LA has the second largest school district in the country, with 650,000 students, 35,000 teachers, 1200 schools. At ERE there will be picket lines in front of the school on Fair Park, on Maywood near the kinder gate and at the Chickasaw gate. School will be open and operating, though if you can keep your child home you are advised to do so. (SEE BELOW FOR ADDITION SUPERVISED OPTIONS FOR YOUR CHILD) Transportation and meal service will be provided as usual, along with after-school programs. During the strike only two gates will be to allow students access before the bell: Fair Park pedestrian gate; and Chickasaw bus drop off gate. The kinder Maywood gate will be closed. Staff will greet students and direct them to their meeting locations; parents will not be allowed on campus unless they are a registered volunteer and we’ve assigned them to support a group of students under the supervision of a certificated staff member. After the bell students that arrive late will be able to ring the front door bell and enter as usual. At dismissal students will be released at the same two gates and we will allow parents to enter to pick up their younger students. 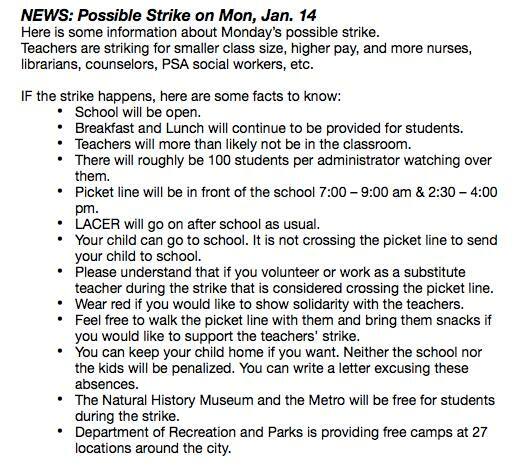 During the strike students will not be in regular classrooms due to the absence of teachers. Students will be clustered so that everyone has a certificated staff member supervising, along with support from aides and other staff. In good weather, students will gather first on the yard where they normally line up; in rain they will be sent directly to the above locations. *The above groupings may be adjusted depending on the number of students that report to school. An “Unofficial” Resource Guide has been compiled by many local parents with other childcare options is available here. 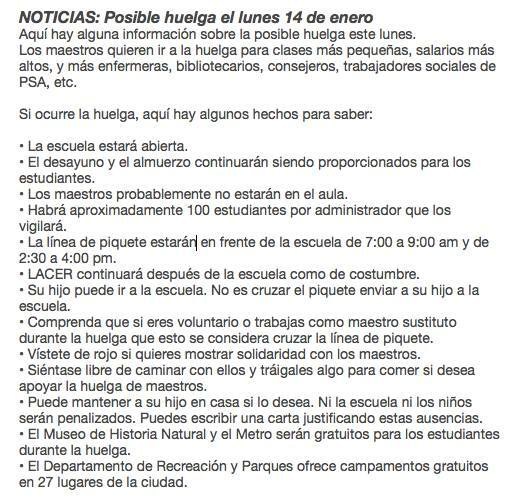 •Activities will run from 8 am to 4 pm each day of the strike. 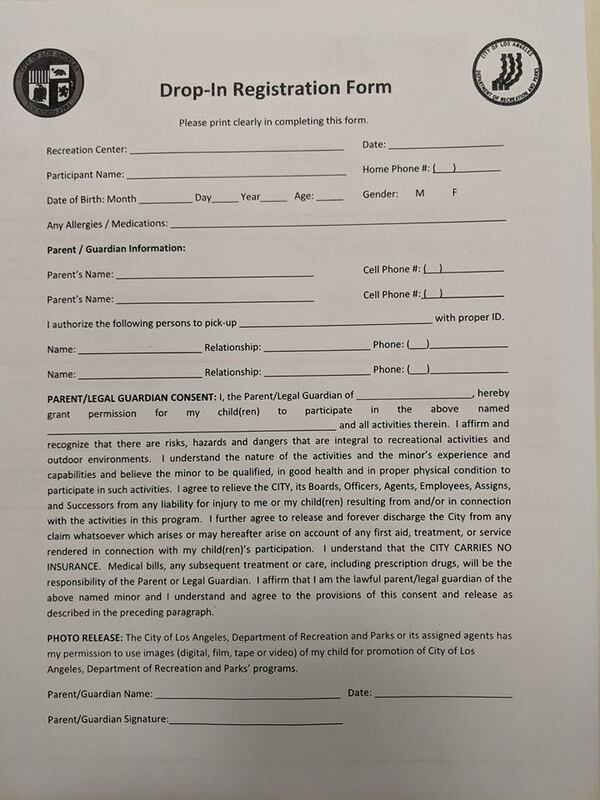 •They are not allowed to turn away any kids, so you can register same day. •Camp will be offered for the duration of the strike. •For parents who need childcare after 4 pm, there is an after care option at a weekly rate of $35 from 4-6 pm. One-time registration fee of $50. 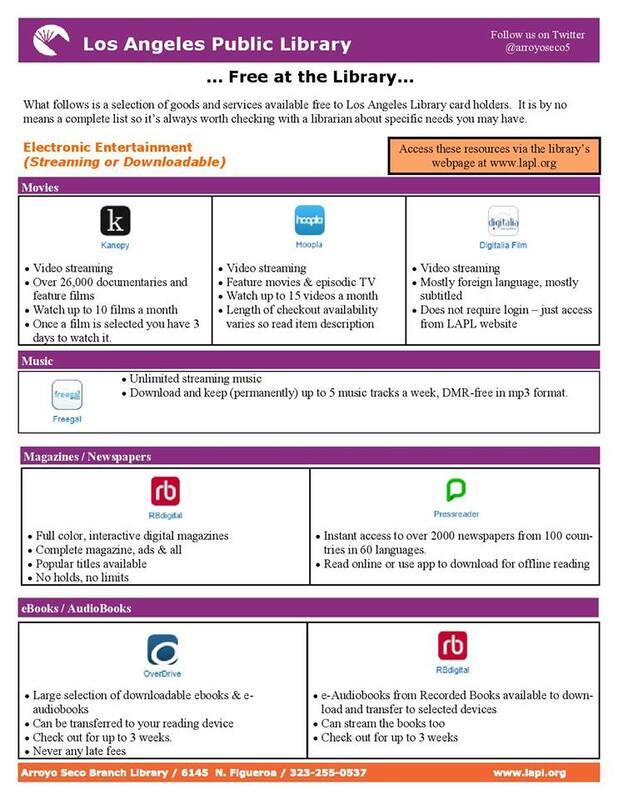 and ALL LA CITY PUBLIC LIBRARIES will have extended hours! 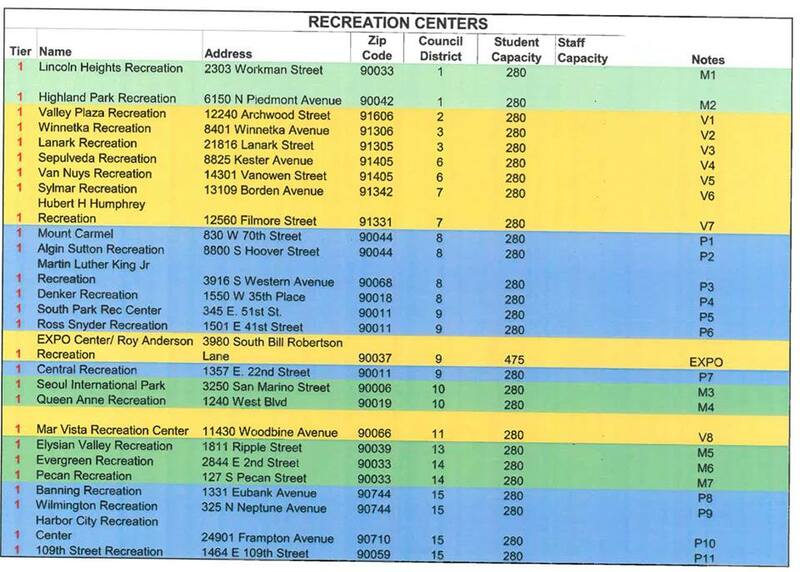 This is the parent drop in form you will need to fill out at the rec center. If your student has an IEP consider attending this meeting to stay informed. 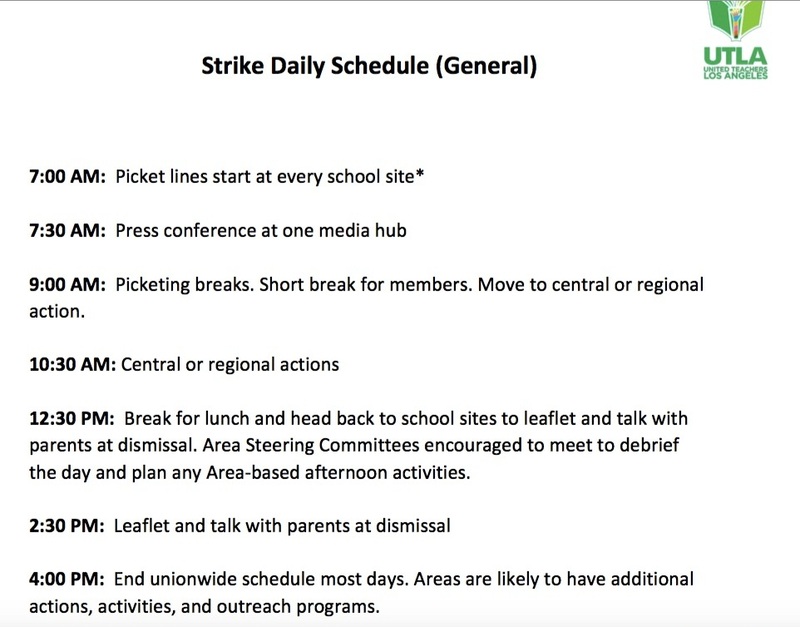 If you plan to keep your child home and want to go over some strike lessons with them, THIS is a great list organized by grade level. Don’t block the entrance of buses full of kids: Be thoughtful about the kids waiting to get through; we are fighting for them. Also, be extra thoughtful about any kids with special needs who are being transported to school. Don’t argue with police: If there is an issue that you cannot work out, contact your assigned UTLA staff person. Don’t threaten anyone crossing the picket line. 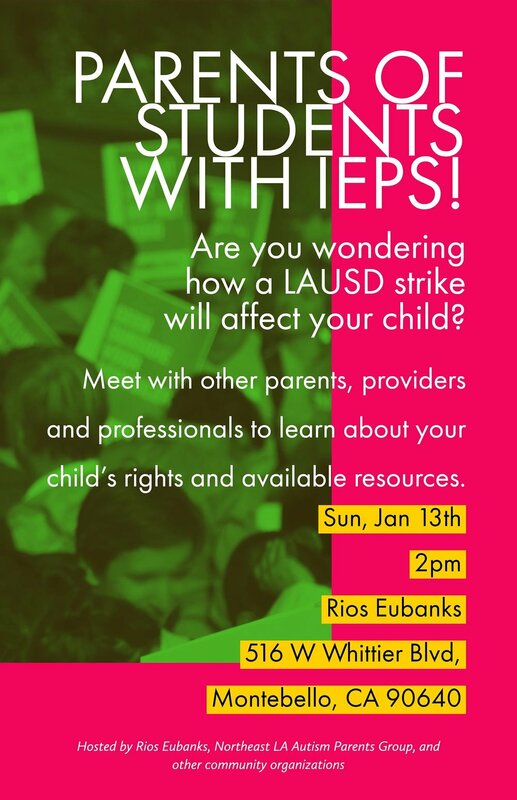 Don’t argue with parents or community members: We should try to convince everyone to support our demands for better schools, but remember that emotions will be running high, so don’t engage with someone who is arguing. Don’t listen to rumors: Check with a staff person or UTLA area leadership if a rumor threatens to disrupt the picket line.